Mr. Vittone put out Issue Four of The Locale, which is delicious and everyone outta take a taste!! Egon's Unicat is nearly done recording: they are finishing up the vocals and then wam! bam! it'll be in yer hand! faster than you can say meow! The Dancing Nancys have been writing new songs, playing news songs, and making many new fans as a result... which makes sense to me. The Hong Kong Electric Company played a come back show a few weeks back... which means these assholes will be ready to destroy things all summmer long. Dust off the boom boxes, we've got some rock cookin'! Egon's Unicat is looking at July 1 as a release date for their full length. The Dancing Nancy's are working on a little something for the kids as well. I will keep you posted on the progress of this anticipated release. Just yesterday we put out "Egon's Acousitcat: Volume 1." We gave it away to the first ten people who requested one, but if you missed out and are interested in hearing some Egon's Unicat mellow style-o, then let us know! please...*pouty lip / puppy dog eyes* I need help! Well kids, that is all I have to share for now. I am hoping that all the rock shows keep happening. I will shake my fist and mention that I noticed the last few show's turn outs have been on the skinny side. Come on out! I missed everyone so much! If you hate music.... then at least come to say hi to me! 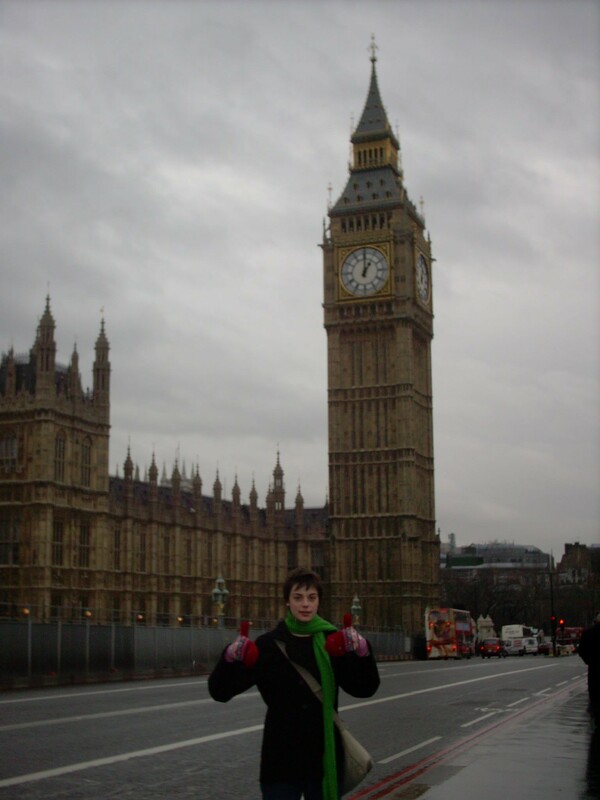 Me and Big Ben in London! !